The vast majority of products available at Thermal Printer Outlet/ Blue Edge Technology, LLC are returnable, provided they are returned with all original packaging, paperwork and items in new and unused condition. To initiate a return, a Return Authorization Number (RMA#) must be requested within 30 days of receipt of the product. When shipping the return, this RMA# must be clearly labeled on the package. Items returned without an RMA number are not eligible for refund or exchange. Furthermore items returned without an RMA number are subject to a $35.00 processing fee per item. Once we Issue an RMA number it is valid for 14 days. (e) by electrical neglect in the failure to operate the product on the properly rated surge protector in addition to prevention of an electrical circuit overload. An electrical overload is defined as too many electrical devices turned on or sharing an outlet that can exceed the circuit limit. (g) consumables are not Covered under Warranty: Consumables are items that wear out under normal use and must be replaced by the end user as needed. Consumables, supplies, other expendable items and those items identified as being the user’s responsibility in the Operator’s Guide, Cleaning and Maintenance Guide or Reference Manual are not covered under the Limited Warranty. For all products returned for warranty service. In the event our technicians find product to be working and not need warranty service, we will charge $70.00 per hour for all troubleshooting performed by our technicians. International orders are not eligible for return or exchange, unless in the case of a Thermal Printer Outlet / Blue Edge Technology, LLC error. Contact a Thermal Printer Outlet Customer Care Specialist at (312) 416-1518 and ask for a returns rep.
Our Customer Care Specialists will provide you with an RMA #, and email you detailed return instructions. Unless the return is due to a Thermal Printer Outlet, the customer is responsible for return shipping costs. 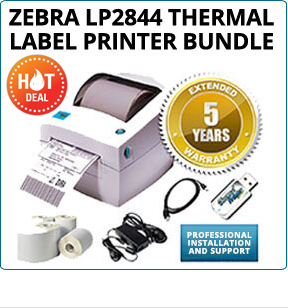 For your convenience, Thermal Printer Outlet offers discounted return shipping labels. Should you choose this option, the cost of the label will be deducted from the refund amount. The original method of payment used to place the order will be credited the purchase price, excluding return shipping costs. Thermal Printer Outlet will send a confirmation email once the refund has been approved. Please allow 5-7 business days for your bank to process the credit. Once we Issue an RMA number it is valid for 14 days. If you receive an item that is broken or defective, Thermal Printer Outlet / Blue Edge Technology, LLC will provide a prepaid return shipping label. To obtain the return shipping label, follow the above return procedure. Damage caused by environmental and electrical conditions are excluded from coverage and are not covered under any warranty offer. Please contact your insurance carrier or Uninterruptible Power Supply (UPS) vendor to see what coverage they can offer you. All our products require a 20% restocking fee. These items qualify for a refund, less the restocking fee and any shipping costs, when returned with all original packaging, paperwork and items in new and unused condition. In addition a flat fee of $15.00 will be charged to orders when free shipping was offered. In the event delivery is refused because of visible damage incurred during shipping or caused by the shipping carrier, we will file a claim with the shipping carrier. In the event you receive a damaged or defective item, we will file a claim with the shipping carrier. In the event you the buyer changes their mind about a purchase and returns the item to us and we receive the item damaged or materially different than how it was originally shipped to you the buyer (not original condition), we will charge a restocking fee of up to 50% of the item price. In the event we provide you with technical support on a product you purchased from us, and you later return your product for a refund, we reserve the right to charge an additional fee of $75.00 plus our standard restocking fee. We reserve the right to deduct $75.00 from your refund for the resources used to assist you. We reserve the right to charge a storage fee when we provide storage for products during an open RMA and at all other times, when we store a product for you that exceeds a period of over 30 consecutive days. In most cases the fee charged will be a flat rate fee of $2.00 per day. In our sole discretion we may to charge more when we believe it is appropriate to do so. Some products, including (but not limited to) custom patterned and custom painted items, are not returnable. In the case of Thermal Printer Outlet error, these items may be returned for credit. Authorized items must be returned with all original packaging, paperwork and items in new and unused condition. Items not returned in the above condition will fail inspection and a refund will not be issued. Thermal Printer Outlet / Blue Edge Technology, LLC may issue a refund in good faith prior to receiving the returned item. We reserve the right to rescind such refunds if the item fails inspection upon arrival. Thermal Printer Outlet / Blue Edge Technology, LLC will not compensate for damages incurred during product installation or use, nor reimburse labor charges or installation fees, under any circumstances. Attempting to install, modify, flash or reflash firmware on your product will void your warranty and you will NOT be able to return your product back to Thermal Printer Outlet / Blue Edge Technology for a exchange or refund. Because of the possible damage which can occur during the flashing process we will not be able to provide you with a replacement, exchange or refund under any exception. Contact our Customer Care Specialist at (312) 416-1518 to get an RA#. We will provide you with an RA#, which is required for all returns, and email you detailed return instructions. Yes. Items that include all original packaging, paperwork and items in new and unused condition may be returned for exchange. Simply follow the standard Thermal Printer Outlet / Blue Edge Technology, LLC returns procedure. All products do require a 20% restocking fee. These items qualify for a refund, less the restocking fee and any return shipping costs. As with all returns, these items are subject to inspection before a credit is issued. 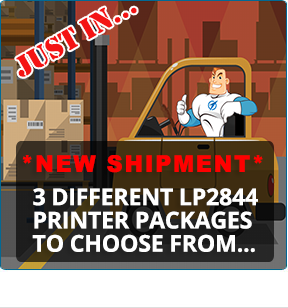 If the return is due to an Thermal Printer Outlet error, we pay for return shipping. Otherwise, the customer is responsible for the cost of returning the item. In this case, we encourage you to take advantage of our discounted return shipping labels. Ask your Customer Care Specialist for details. 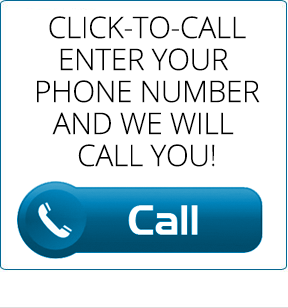 Just call us at (312) 416-1518. We’ll process your return, exchange the item for the correct item (if available) and send you a prepaid UPS shipping label for your return item. If the numbers do match, you may have ordered the incorrect item number. Once again, please call us at (312) 416-1518 We’ll process your return and exchange the item for the correct item (if available).